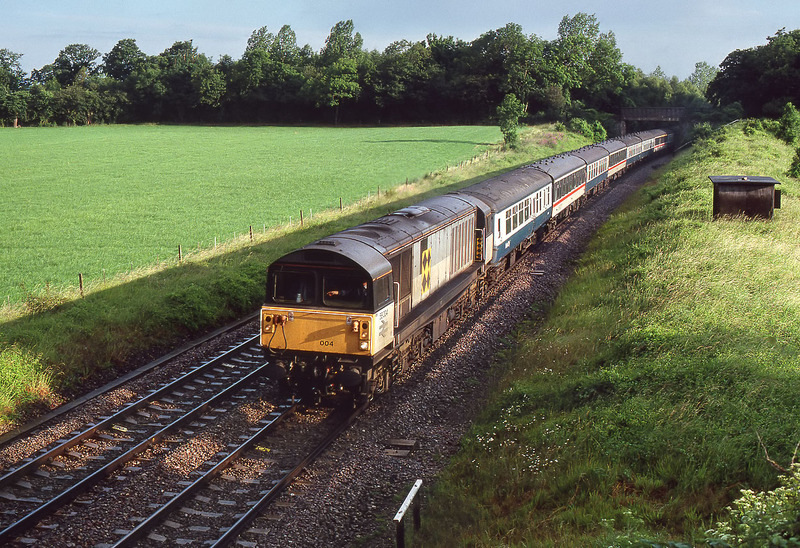 58004 is pictured passing Croome at 07:00 on 1 July 1990 in the only fleeting bit of sunshine during the entire day with the 1Z17 05:45 Birmingham New Street to Bristol Temple Meads. This was one of a number of special trains run by Pathfinder Tours in connection with the Gloucester Rail Day. The poor technical quality is explained by the use of Kodachrome 200, not strictly necessary here, but certainly required for the rest of the day!